Instances of cat fur being substituted for synthetic material have highlighted the importance of good supply chain management and effective testing. As concerns for footwear manufacturers and retailers caused by real animal fur being sold as faux continue to grow, this article highlights some of the information first published in the article 'Testing for animal fur', which contains a more in-depth consideration of the topic. That article was published as the result of an animal protection charity finding evidence of products containing cat fur, despite cat and dog fur being banned for use in clothing throughout the EU since 2009. There is, of course, no implication that this has been done intentionally. Just like the presence of restricted substances, these materials can find their way into products due to the complicated and often international way goods are sourced across the globe. However, it highlights the importance of testing the materials of which your product is composed – for restricted substances, counterfeit products or, as in this case, natural products that either contravene legislation in the marketplace or are deemed unacceptable by the consumer. ‘Faux’ is defined as imitation or artificial which, in the context of fur, means synthetic fibres that are specifically designed to represent the feel and look of real fur derived from animals. Many producers are able to produce faux products that are only identifiable through careful microscopy, and are justifiably proud of their innovative techniques. These products offer not only the visual impact of the natural product, but also the physical characteristics – such as durability and comfort. In many countries, there are restrictions on the importation of products containing certain kinds of fur, in addition to items sourced from endangered species on the ‘Convention on International Trade in Endangered Species of Wild Fauna and Flora’ (CITES) list. The whole topic is highly sensitive, with consumers making a very personal and considered choice. These decisions are not just based on whether the material is faux or genuine, but is also based on which species are being used and, at the basic level, how the animals are treated and farmed. If the product is being sold as genuine fur, it must be of a species that is not subject to a CITES ban; nor in Europe can it be canine or feline. If the product is being sold as ‘synthetic’, it must not contain any animal products. The term ‘faux’ is used globally under various guises. However, in SATRA's experience, it does not imply that the product is free from animal products. 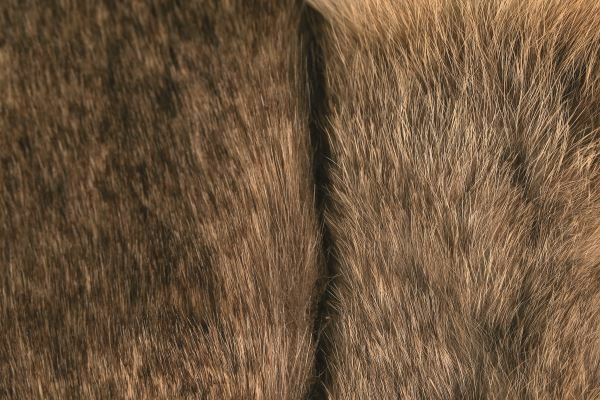 The test for synthetic fur versus animal origin involves an experienced consultant using a combination of microscopy and dissolution with a variety of tell-tale solvents. Our experts have an in-depth knowledge of fibres and can determine if they are of a synthetic origin. If the fibre is determined as non-synthetic, then skill and experience is required to determine the family and or species from which it originates, which is equally as important. Retailers and sourcing companies should know their supply chain and be familiar with it. Multiple material suppliers and manufacturing locations mean that the same style may be produced in very different locations, possibly with different legislation in place. The sources should be traced and the product, component or material should be analysed by qualified consultants at an independent laboratory. There is currently no recognised test method for determining if a material originates from an animal. SATRA can assess a product and select both essential and desirable tests to ensure that it is safe for sale in all aspects. Can you spot the difference in the photograph above? The real fur is on the right. Please contact SATRA’s chemistry team (chemistry@satra.com) for assistance with determining if a material if synthetic or from an animal source. This article was originally published on page 38 of the February 2019 issue of SATRA Bulletin.